Our prayers this morning go out to the victims and survivors after a major earthquake struck the Iran-Iraq border yesterday, killing more than 300 and injuring thousands. O merciful Father, you have taught us in your holy Word that you do not willingly afflict or grieve the children of men: Look with pity upon the sorrows of the victims and survivors of yesterday's earthquake along the Iran-Iraq border for whom our prayers are offered. Remember them, O Lord, in mercy, nourish their souls with patience, comfort them with a sense of your goodness, lift up your countenance upon them, and give them peace; through Jesus Christ our Lord. Amen. Now on the twenty-fourth day of this month the people of Israel were assembled with fasting and in sackcloth, and with earth on their heads. Then those of Israelite descent separated themselves from all foreigners, and stood and confessed their sins and the iniquities of their ancestors. They stood up in their place and read from the book of the law of the LORD their God for a fourth part of the day, and for another fourth they made confession and worshiped the LORD their God. Then Jeshua, Bani, Kadmiel, Shebaniah, Bunni, Sherebiah, Bani, and Chenani stood on the stairs of the Levites and cried out with a loud voice to the LORD their God. Then the Levites, Jeshua, Kadmiel, Bani, Hashabneiah, Sherebiah, Hodiah, Shebaniah, and Pethahiah, said, "Stand up and bless the LORD your God from everlasting to everlasting. Blessed be your glorious name, which is exalted above all blessing and praise." And Ezra said: "You are the LORD, you alone; you have made heaven, the heaven of heavens, with all their host, the earth and all that is on it, the seas and all that is in them. 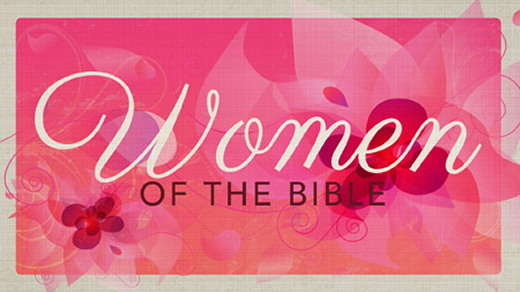 To all of them you give life, and the host of heaven worships you. You are the LORD, the God who chose Abram and brought him out of Ur of the Chaldeans and gave him the name Abraham; and you found his heart faithful before you, and made with him a covenant to give to his descendants the land of the Canaanite, the Hittite, the Amorite, the Perizzite, the Jebusite, and the Girgashite; and you have fulfilled your promise, for you are righteous. "And you saw the distress of our ancestors in Egypt and heard their cry at the Red Sea. You performed signs and wonders against Pharaoh and all his servants and all the people of his land, for you knew that they acted insolently against our ancestors. You made a name for yourself, which remains to this day. And you divided the sea before them, so that they passed through the sea on dry land, but you threw their pursuers into the depths, like a stone into mighty waters. Moreover, you led them by day with a pillar of cloud, and by night with a pillar of fire, to give them light on the way in which they should go. You came down also upon Mount Sinai, and spoke with them from heaven, and gave them right ordinances and true laws, good statutes and commandments, and you made known your holy sabbath to them and gave them commandments and statutes and a law through your servant Moses. For their hunger you gave them bread from heaven, and for their thirst you brought water for them out of the rock, and you told them to go in to possess the land that you swore to give them. "But they and our ancestors acted presumptuously and stiffened their necks and did not obey your commandments; they refused to obey, and were not mindful of the wonders that you performed among them; but they stiffened their necks and determined to return to their slavery in Egypt. But you are a God ready to forgive, gracious and merciful, slow to anger and abounding in steadfast love, and you did not forsake them. Even when they had cast an image of a calf for themselves and said, 'This is your God who brought you up out of Egypt,' and had committed great blasphemies, you in your great mercies did not forsake them in the wilderness; the pillar of cloud that led them in the way did not leave them by day, nor the pillar of fire by night that gave them light on the way by which they should go. You gave your good spirit to instruct them, and did not withhold your manna from their mouths, and gave them water for their thirst. Forty years you sustained them in the wilderness so that they lacked nothing; their clothes did not wear out and their feet did not swell. And you gave them kingdoms and peoples, and allotted to them every corner, so they took possession of the land of King Sihon of Heshbon and the land of King Og of Bashan. You multiplied their descendants like the stars of heaven, and brought them into the land that you had told their ancestors to enter and possess. So the descendants went in and possessed the land, and you subdued before them the inhabitants of the land, the Canaanites, and gave them into their hands, with their kings and the peoples of the land, to do with them as they pleased. And they captured fortress cities and a rich land, and took possession of houses filled with all sorts of goods, hewn cisterns, vineyards, olive orchards, and fruit trees in abundance; so they ate, and were filled and became fat, and delighted themselves in your great goodness. After this I saw another angel coming down from heaven, having great authority; and the earth was made bright with his splendor. He called out with a mighty voice, "Fallen, fallen is Babylon the great! It has become a dwelling place of demons, a haunt of every foul spirit, a haunt of every foul bird, a haunt of every foul and hateful beast. For all the nations have drunk of the wine of the wrath of her fornication, and the kings of the earth have committed fornication with her, and the merchants of the earth have grown rich from the power of her luxury." Then I heard another voice from heaven saying, "Come out of her, my people, so that you do not take part in her sins, and so that you do not share in her plagues; for her sins are heaped high as heaven, and God has remembered her iniquities. Render to her as she herself has rendered, and repay her double for her deeds; mix a double draught for her in the cup she mixed. As she glorified herself and lived luxuriously, so give her a like measure of torment and grief. Since in her heart she says, 'I rule as a queen; I am no widow, and I will never see grief,' therefore her plagues will come in a single day-- pestilence and mourning and famine-- and she will be burned with fire; for mighty is the Lord God who judges her." Then Pharisees and scribes came to Jesus from Jerusalem and said, "Why do your disciples break the tradition of the elders? For they do not wash their hands before they eat." He answered them, "And why do you break the commandment of God for the sake of your tradition? For God said, 'Honor your father and your mother,' and, 'Whoever speaks evil of father or mother must surely die.' But you say that whoever tells father or mother, 'Whatever support you might have had from me is given to God,' then that person need not honor the father. So, for the sake of your tradition, you make void the word of God. You hypocrites! Isaiah prophesied rightly about you when he said: 'This people honors me with their lips, but their hearts are far from me; in vain do they worship me, teaching human precepts as doctrines.'" Then he called the crowd to him and said to them, "Listen and understand: it is not what goes into the mouth that defiles a person, but it is what comes out of the mouth that defiles." Then the disciples approached and said to him, "Do you know that the Pharisees took offense when they heard what you said?" He answered, "Every plant that my heavenly Father has not planted will be uprooted. Let them alone; they are blind guides of the blind. 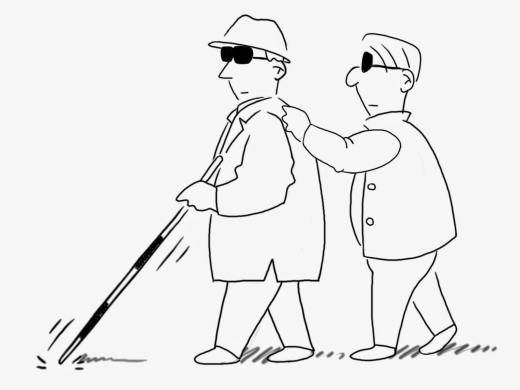 And if one blind person guides another, both will fall into a pit." But Peter said to him, "Explain this parable to us." Then he said, "Are you also still without understanding? Do you not see that whatever goes into the mouth enters the stomach, and goes out into the sewer? But what comes out of the mouth proceeds from the heart, and this is what defiles. For out of the heart come evil intentions, murder, adultery, fornication, theft, false witness, slander. These are what defile a person, but to eat with unwashed hands does not defile." Romans 8:18 (NIV)[Present Suffering and Future Glory] I consider that our present sufferings are not worth comparing with the glory that will be revealed in us. What is the most difficult aspect of life to accept, for Christians? In my experience, it is the death of a close family member: a child, a beloved spouse, a parent. The death of someone we have loved so much, for so long, that their passing rips apart the very fabric of our earthly existence. We know, at least in theory, that we should love Christ more than we love anybody else. He told us this in no uncertain terms: “Anyone who loves their father or mother more than me is not worthy of me; anyone who loves their son or daughter more than me is not worthy of me.” Yet, one hardly has the heart to preach this to a mother distraught over the death of a child, or a young man whose wife has died in a car accident. It would be churlish and ineffective. The only suggestion I have for this horrendous problem is to be forewarned and forearmed. Just as we must prepare ourselves for our own death, we must prepare ourselves (and others, where possible) for the possibility that those we love best in life might die before we do. (In fact, in the case of our parents, it is a probability.) And no matter what our age, the death of close family members is disorienting and irreducibly painful. How am I going to react when X dies? Am I going to be able to find some consolation in Christ, or is my faith going to be shattered beyond repair? Or like many, am I going to go through a period of questioning at the worst possible time? Is Satan going to find me unprepared when I am most vulnerable? For surely, every person we know and love will die, whether before us or after us. We cannot force them to accept salvation; we can only accept it for ourselves and be assured, even in our darkest moments, that what God has in store for us is more wonderful than the pain we suffer during our lives. Our suffering as human beings can surely be terrible; but God promises us, in Romans 8:18, that our joy will be incomparably greater than even our worst moments on earth. But to take consolation and comfort from God’s promises, and the presence of the Holy Spirit with us, we must be prepared. It isn’t easy to take comfort when all we want to do is mourn! We must get ready, by prayer, meditation, and study, to accept the measure of relief that He affords us while we are still alive, and strength from the certainty that, one day, the sun will certainly rise on our darkness, forever. Lord God, steel me to turn to you during the painful periods of my life. Amen. Scripture taken from Holy Bible, New International Version®, NIV® Copyright ©1973, 1978, 1984, 2011 by Biblica, Inc.® Used by permission. All rights reserved worldwide. What is the most difficult aspect of life to accept, for Christians? Consideren bien todo lo verdadero, todo lo respetable, todo lo justo, todo lo puro, todo lo amable [...] todo lo que sea excelente o merezca elogio. Truly I tell you,” Jesus replied, “no one who has left home or brothers or sisters or mother or father or children or fields for me and the gospel will fail to receive a hundred times as much in this present age: homes, brothers, sisters, mothers, children and fields—along with persecutions—and in the age to come eternal life. Though I long to see my family, I cannot go home. I haven’t been home in three years, ever since my family poured hot water on me to show their hostility. They were extremely upset when I accepted Christ as my Saviour as a teenager. I stopped worshipping idols and other gods that my family worshipped. I began to pray and read the Bible every day. My family, who kept food from me, even poured hot meals on me. They tore Bibles from my hand and burned them, six of them. I was beaten severely for attending church services. One time so badly that I was half dead. While I was still on my sick bed I heard the voice of God saying, “Leave your family whom you love and follow me.” It was a very difficult decision for me, but I agreed to do His word. So I told my father that I would be leaving for Bible College to study and learn about Jesus. On hearing my words he was furious and said that if I was to do my own will then I could leave for good. He demanded money that he had spent for my upbringing. It broke my heart. Learning of the terrible condition I was in, an evangelist reached out to me with help and brought me to a Bible College supported by Open Doors. After a year I went home expecting my family to accept me. But they remained unchanged. Two years later, my father attended my Bible College graduation in secret, coming in late to the back and leaving early. He did not want to speak to me. My family has only given me pain and sorrow and I think about it and weep. But I believe in God’s promise, “Let your heart not be troubled, believe in God and also in me, there are many rooms in my father’s house…I will come back and take you with me” (John 14: 1-3). So one day I will be with Him in His heavenly home where there will be no more sorrow, crying or pain. RESPONSE: Today I will be encouraged that no matter what happens; following Jesus gives me hope. PRAYER: Pray for many believers, like the young lady above, who endure the pain of rejection. David used positive self-speak to transform his downcast heart to an uplifted face. The next time you are faced with an unsettling emotion, name it, and then place your hope firmly in Christ and offer Him words of praise. Declare His authority over your life and your circumstances. Finally, remind yourself of His steadfast love and provision in your past, which will bring you full circle, right back to hope! Sleep Well Again (Harvest House Publishers) is one of Lisa’s six books in her Restoring Your Temple® health resource collection. Her books are available on Amazon.com, barnesandnoble.com,or wherever books are sold. 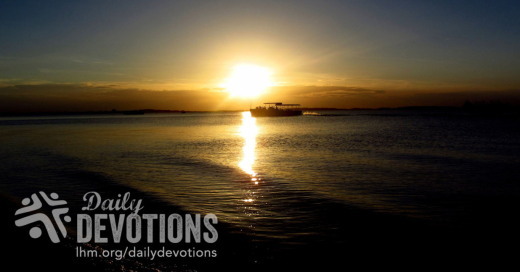 LHM Daily Devotion - November 13, 2017 "Evangelism"
He (Andrew) first found his own brother Simon and said to him, "We have found the Messiah" (which means Christ). You know that Jesus gave Simon the nickname of Peter for his bold confession of faith, but I'm giving an A for the day to anyone who can share what moniker the early church bestowed upon his brother Andrew. Wow, that's right! I didn't think you'd all get it. 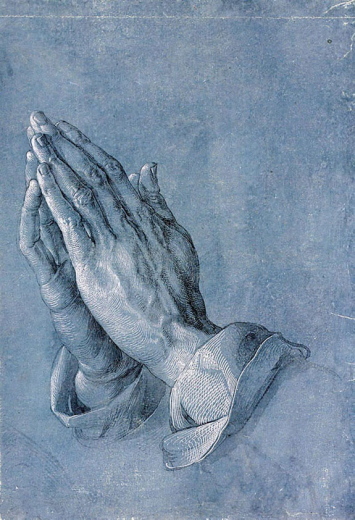 The early church called Andrew, "protokletos," which means "first-called." As you know, Andrew was first on the list of Jesus' disciples. Now you know Andrew wasn't the kind of guy who stole the limelight. He was not the sort of fellow who stood out in a crowd. Scripture paints him as a modest sort of man, always blending in to the background. On Pentecost his words aren't recorded for history, and the New Testament doesn't have any books named First or Second Andrew. Andrew was never elected to be the chairman of the disciples' board. When we think of the great personages who have flashed across the pages of human history, when we remember some of the Bible's heroes of faith, somehow Andrew is almost always left out. That's a shame, because Andrew had a friend. Moreover, wherever you see Andrew in the pages of the New Testament, you will find him introducing people to Jesus, his friend, and the world's only Savior. Andrew's story begins in Bethsaida -- a word that means "house of the fisherman." He was employed at the family business, and he might have stayed there forever if it hadn't been for the friend he met on the shores of the Jordan River. The first thing Andrew did after he got to know Jesus was hurry home to find his brother Simon and say, "Simon, come and meet my friend, the Messiah!" Have you ever noticed that when people come to know Jesus, they're filled with an urge to tell others about their newfound friend? True, sometimes we do so in an obnoxious way, and end up turning off our listeners. Sometimes we can be like our pal who buys a new car or computer and talks and talks and talks. Sometimes we can be like the grandmother who searches for victims to whom she can show her suitcase of grandchildren photographs. But the fact is, Andrew knew, Christians need to share their friend with others. In the rest of the New Testament, you will see Andrew bringing a boy to Jesus with some loaves and fishes. Or he, along with Philip, is introducing some Greeks to the Savior, after they had come and requested: "Sir, we would see Jesus." Although the New Testament authors seem to neglect Andrew, Jesus knew -- as should we -- that without people like Andrew, there would never be people like Peter! That's because the real work of the church, any church, is not done just by people like Peter who get their names in the newspapers. It is also done by the millions of Andrews: the humble men and women who aren't afraid to say to a friend or family member "Come with me. I've found the Lord." THE PRAYER: Dear Lord, I must confess doing evangelism can scare me. Help me see, and emulate Andrew who simply said to those around him, "Come, I've found the Lord." This I ask in Jesus' Name. Amen. Por lo tanto, sométanse a Dios; opongan resistencia al diablo, y él huirá de ustedes. Acérquense a Dios, y él se acercará a ustedes. ¡Límpiense las manos, pecadores! Y ustedes, los pusilánimes, ¡purifiquen su corazón! A lo largo de mi vida he tenido el privilegio de conocer a personas que merecerían ocupar un lugar especial en el cielo. Una de esas personas fue una señora que nunca hubiera sido capaz de decir nada malo de nadie, por más mala que una persona pudiera ser. Un día, sólo para ver desafiarla, le dije: "Estoy seguro que hasta podría decir algo bueno acerca del diablo". La señora pensó un momento, luego sonrió, y dijo: 'Si queremos ser justos, debemos admirar su perseverancia'". Y tiene razón. El diablo ha sido lo suficientemente perseverante como para traer problemas al mundo y a cada generación que ha existido. Es lo suficientemente perseverante como para tentarnos a usted y a mí a hacer cosas que Dios no aprueba. Es suficientemente perseverante como para causar enojo, odio y celos. Si Satanás tiene alguna cualidad admirable, ciertamente es la perseverancia. Es una pena que los cristianos no siempre poseamos el mismo atributo. Demasiado a menudo preferimos dejar que los demás se encarguen de compartir el mensaje del amor de Dios, y nos quedamos como simples espectadores. Se me ocurre que ha llegado la hora de ser perseverantes y ponernos a compartir al Salvador que dio su vida para que nosotros no perdamos la nuestra. El aliento que le quiero dar a través de esta devoción, es que hoy sea perseverante en compartir al Salvador que tanto le ama. 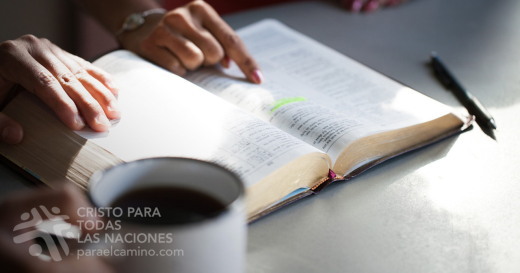 ORACIÓN: Querido Dios, no siempre soy tan perseverante como debiera en compartir el mensaje de tu amor y de la salvación que Jesús ha ganado para nosotros. Ayúdame a ser más perseverante en mi vida, en mi testimonio y en mi fe. En el nombre de Jesús. Amén.